Hear this song and others like it on Absolute Radio. Haven’t Heard It For Ages? During The No Repeat Guarantee from 9am to 6pm every day on Absolute Radio, you can listen to the songs that you haven't heard for ages... But rather than playing the songs we like (which sounds like a great idea! ), we'd like to know which songs YOU want to hear. Is this song one of them? Request it using the form below! 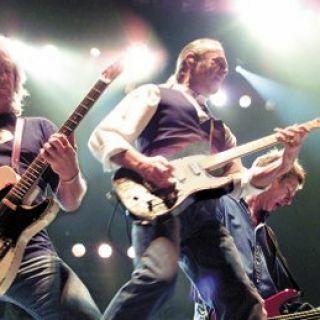 Here's my choice of great song: In The Army Now by Status Quo This is what it means to me and why you should play it: What will you be doing during The No Repeat Guarantee? We’ve played this song 1 times in the past 30 days. © 2019 Bauer Radio Limited - Made in the UK.